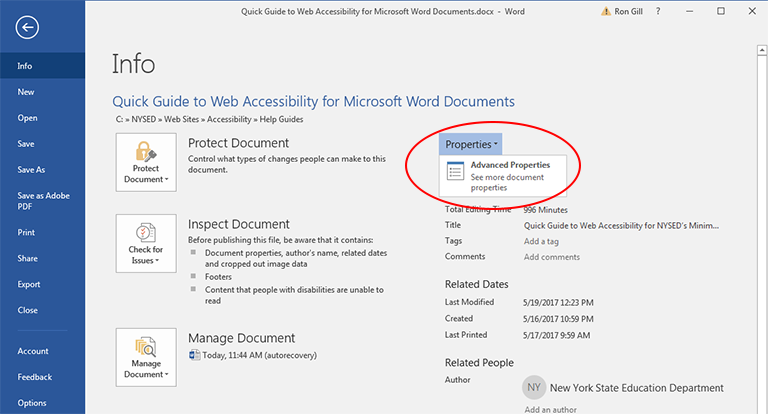 Provide document title, author, subject, and keywords under document properties. Author – set to New York State Education Department. Do not enter your name or other staff names here. 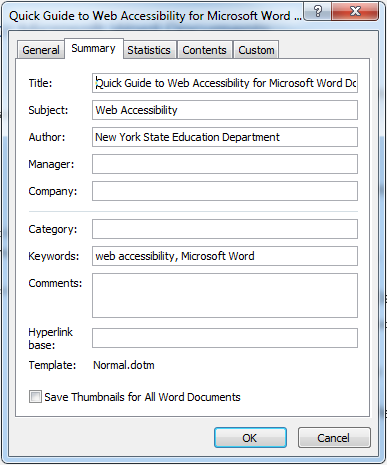 Keywords – enter keywords that users would use when doing an internet search. Only enter relevant keywords and separate them with commas.